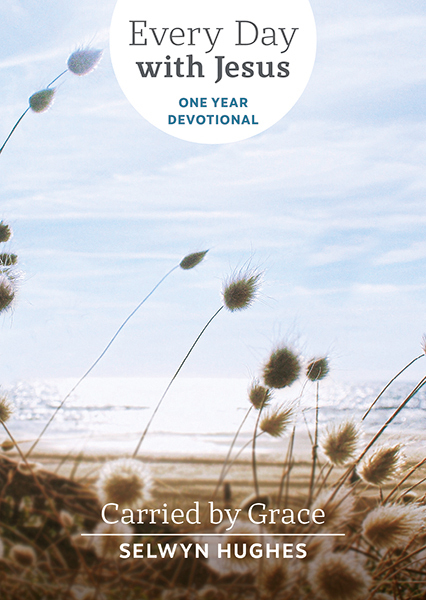 A compact and attractive one-year devotional. This 'Every Day With Jesus' release features reflections to grow your trust in God over the coming year. This one year collection contains six specially selected themes from Every Day with Jesus to encourage you in your Christian walk. Inside are 365 undated daily readings and prayers, along with suggestions for further study and discussion. Prepared – Reflect on the life and ministry of John the Baptist, look at how you can prepare yourself spiritually that you might be equipped to prepare others to know God. The Call – Unpack what it means to respond to Jesus' call by looking at the life-changing and rollercoaster journey of the call to the first disciples. Our True Identity – Be reminded of your true identity in Christ, and read about how we can live our lives in the certainty of who we are in God. Pursued by Grace – Revisit the story of the prophet Jonah, and see how, despite our flaws and the things we struggle with, God's grace is always pursuing us. Standing Strong – Explore various 'anchors' or principles that keep us grounded in our faith, in both the successes and the challenges of life. Bringing Down Giants – Examine some of the biggest 'giants' that can hinder our spiritual walk – such as shame, despair and pride – and discover how God has taught us to overcome them. Every Day with Jesus One-year Devotional by Selwyn Hughes was published by CWR in September 2018 and is our 3306th best seller. The ISBN for Every Day with Jesus One-year Devotional is 9781782590620. Got a question? No problem! Just click here to ask us about Every Day with Jesus One-year Devotional.